If you are interested in Uterine Fibroid Embolization (UFE), you want to make sure that the Interventional Radiologist (IR) performing the procedure is as experienced as possible. How Do I know That My Uterine Fibroid Specialist Is Experienced Enough? It can be difficult to know whether or not an IR (Interventional Radiologist) is experienced in a particular procedure like UFE. One of the ways is recognition from Radiology and Interventional Radiology Societies. All IRs should be board-certified by the American College of Radiology (ACR). In addition, if an IR has “FSIR” after their name, it stands for “Fellow in the Society of Interventional Radiology”. This distinction is only awarded to ~10% of IRs in their career, and it is an important recognition by their colleagues and subspecialty medical society. If you are suffering with uterine fibroids and considering UFE, you will want to meet with the IR who will perform the procedure. One important question to ask the IR is “How may UFEs have you performed?”. You want the UFE specialist who will continue caring for you after the procedure. If the IR only occasionally performs UFE, you should consider another Interventional Radiologist. A successful UFE requires more than an experienced Interventional Radiologist. Outpatient centers that perform UFEs should be dedicated to women’s care versus a converted dialysis center that performs other procedures, including UFE. The equipment that the center uses is also very important. 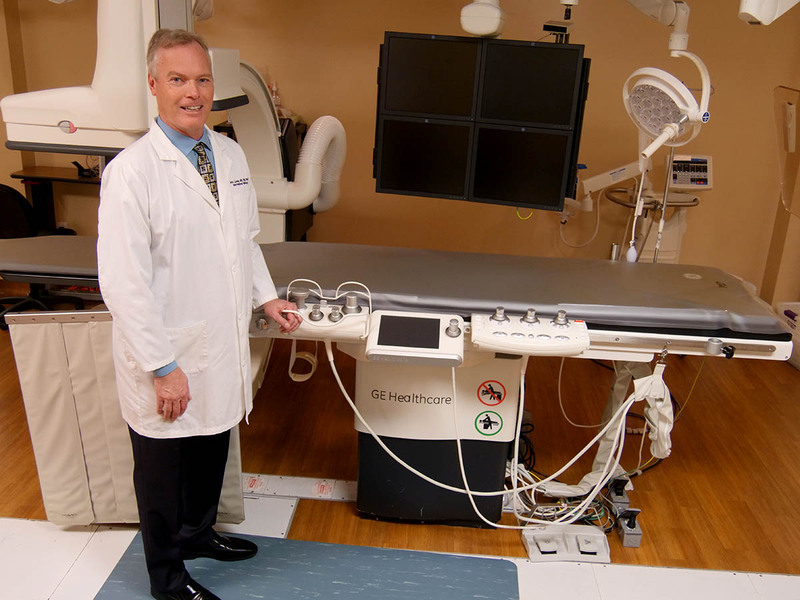 A number of centers use portable and less expensive C-arm equipment, which is a scaled down version of a dedicated angiographic system that you will see at a hospital. Another cost-cutting maneuver that is done in many outpatient centers is large recovery bays with curtains separating patients’ beds. This offers little to no privacy to patients and often places male and female patients side by side. At the Atlanta Fibroid Center, we built a dedicated women’s health center with state of the art angiographic equipment and individual private rooms for patients and their family members. If the UFE specialist directs you to your Ob/Gyn or PCP, you should find another UFE specialist. Patients of Dr. John Lipman have access to him 24/7 after UFE (but do not abuse this privilege). To learn more about Uterine Fibroid Embolization (UFE) or to make an appointment with Dr. John Lipman, please call Atlanta Fibroid Center at 770-953-2600 or book an appointment online.